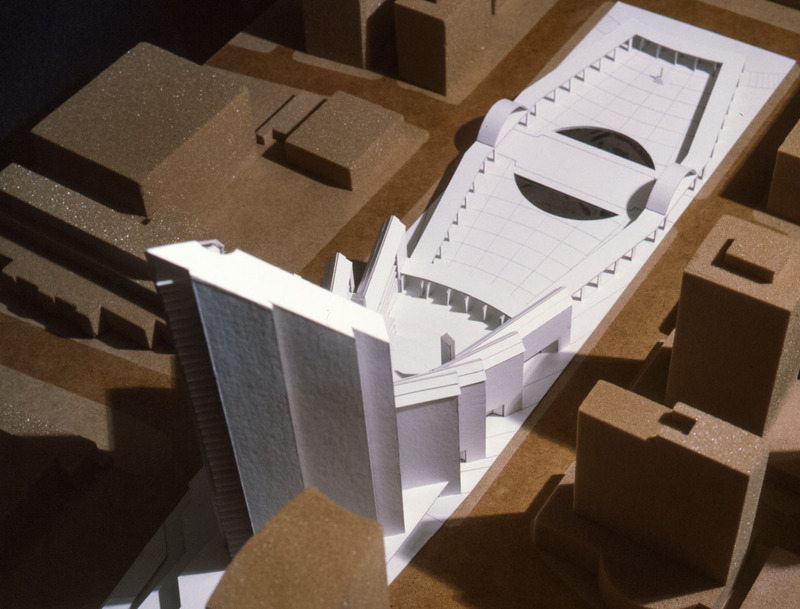 Edmonton City Hall - Strasman Architects Inc. 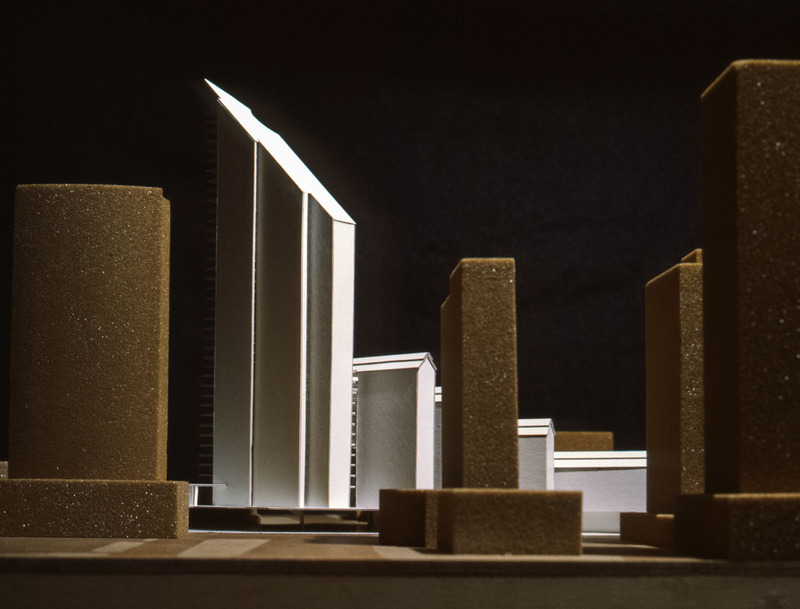 The inspiration for our submission was the Grain Elevators that prominently dot the prairie landscape. We created a large public square by closing one street and extended the footprint of the building by closing another street. 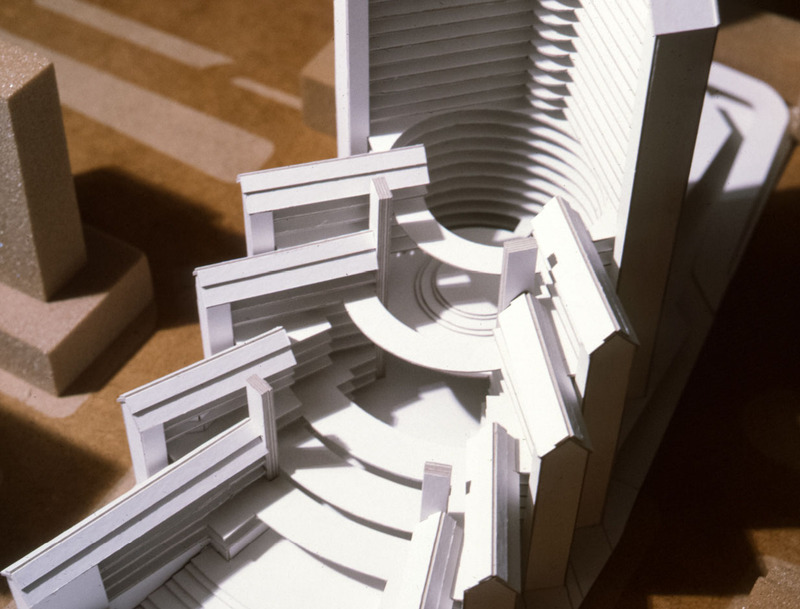 The concept was to embrace the Council Chamber with a series of grain elevator building forms at the base. These low building forms housed all of the functions that had direct dealings with the public. 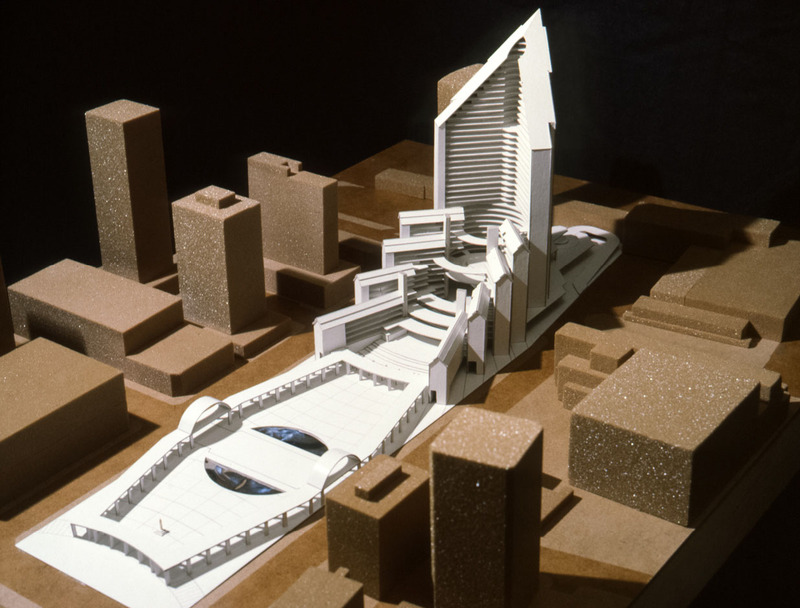 The stepping forms transitioned into a tower form that contained all of the functions that little or no direct business with the public. Our concept was to make a dramatic mark in the prairie-like a spear driven into the ground.